Quiet Down There was commissioned by Lighthouse, Brighton to evaluate the experience of two artists with learning disabilities who were taking part in their Guiding Lights programme. Lighthouse worked with Carousel UK and Oska Bright Film Festival to tailor thier national professional development scheme to include a Festival Producer and a Festival Curator from Oska Bright. QDT worked with the artists, the mentors and the stake holders to evaluate the success of the programme and make recommendations for the future. 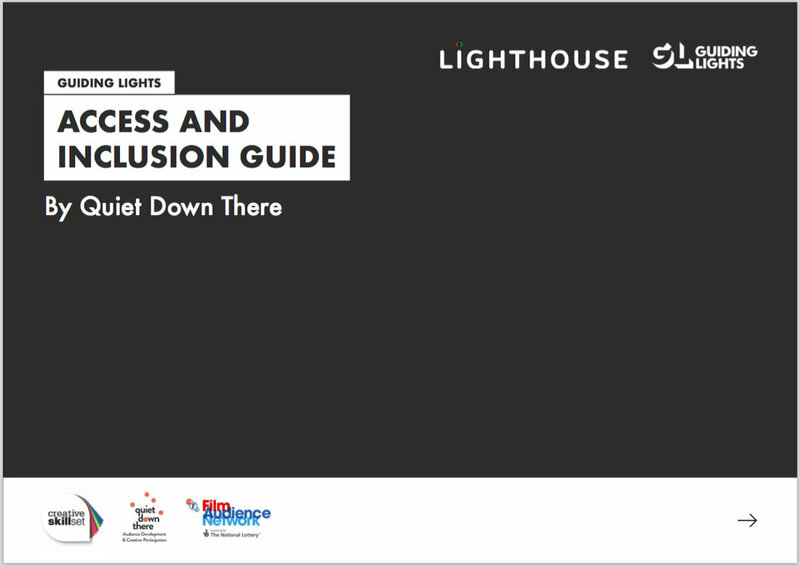 From this piece of work Lighthouse asked QDT to produce a resource which they could share with other organisations.